Silkscreen print and stickers on 800 grams paper – edition of 25 (+ 2 A.P). 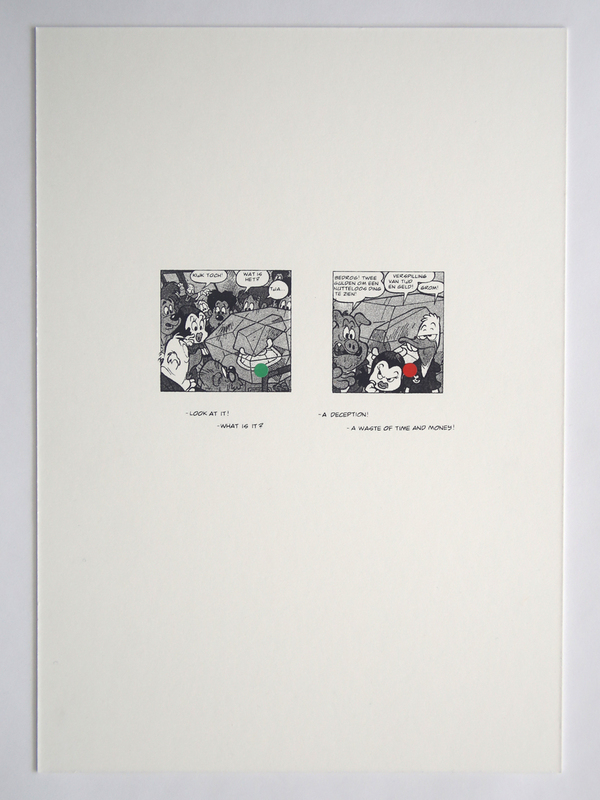 This silkscreen print takes 2 frames from the Dutch version of the original Italian Scrooge McDuck comic ‘Zio Paperone e il misterioso “inutile”‘ – Scrooge McDuck and the useless mystery. Somewhere throughout this story, an alien object (scientificly proven to be entirely useless) is displayed during an exhibition. 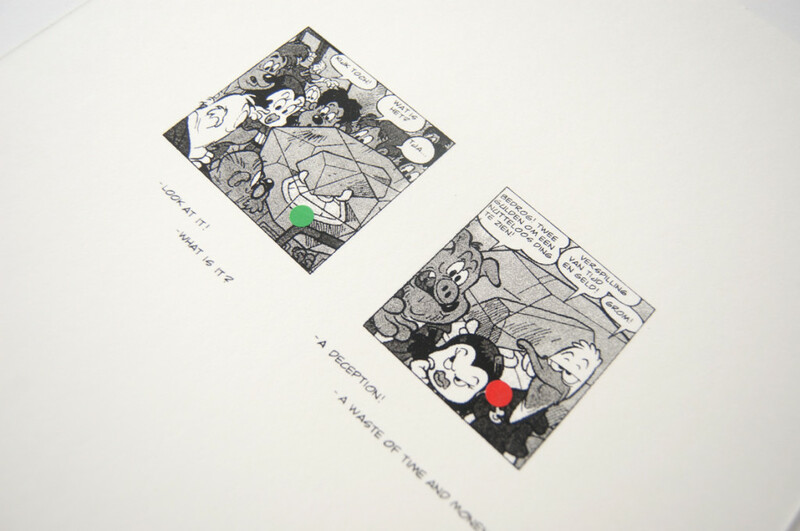 Two round dots that are commonly used during art fairs and gallery exhibitions – green (someone has taken interest in the work) and red (the work has been sold) – have been applied onto the two frames, implying the ‘useless’ object has been sold between frames, while the audience feels cheated for paying to see something this useless, calling the exhibition a waste of time and money – not quite a rarely heard attitude towards contemporary art.